Lately I have been hankering for a Tupperware party. I remember attending one as a small child but that must have been the very early 1980's. What I want is to attend one of those swanky 1960's Tupperware parties where the hostess fixed drinks and party games for the attendees and of course we would have to wear our vintage best. Alas these days women just don't gather as much in one room let alone to purchase plastic goods to keep their food fresh so my hankering will just have to be satisfied via images and video. But before I share more of that here is a brief history on Tupperware. 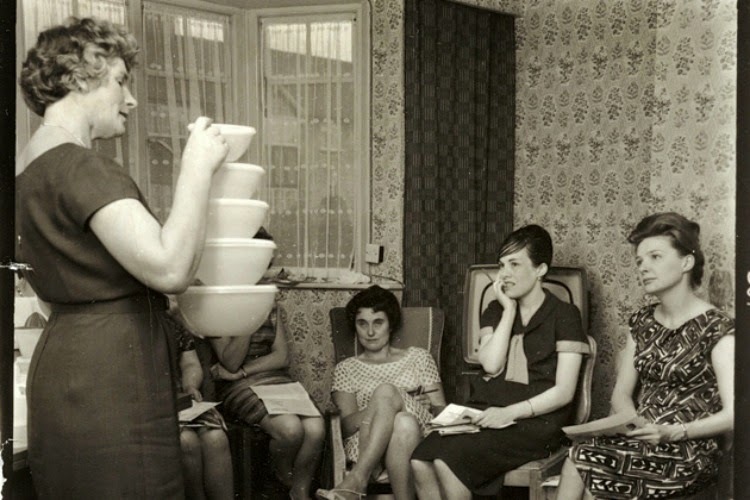 Tupperware parties became all the rage beginning in 1958. 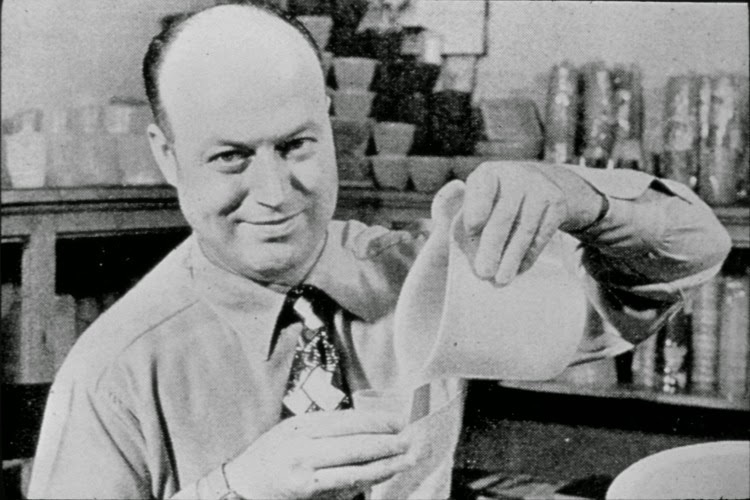 The Tupperware Plastics Company was founded in 1938 by Earl Elias Tupper but it wasn't until he hired a woman by the name of Brownie Wise that his products became an overnight sensation. It was Wise that introduced the idea to Tupper of selling his products to housewives in their homes and that was beginning of the Tupperware parties! She became the very frist woman to grace the cover of Business Weekly. But the relationship between Wise and Tupper wouldn't last long as he fired her around 1958 and removed her name from everything that related to his company. He eventually sold his business for $16 million dollar, renounced his American citizenship, and moved to Costa Rica. Both Tupper and Wise helped revolutionize how products are sold to the masses but how they could be done in a creative and fun way with the Tupperware parties. Not to mention it did help organize the refrigerator for housewives across the country. I know it's hard to remember a time before cell phones, the internet, and even cable tv, but what was a 1960's housewife to do in terms of socialization and entertainment? 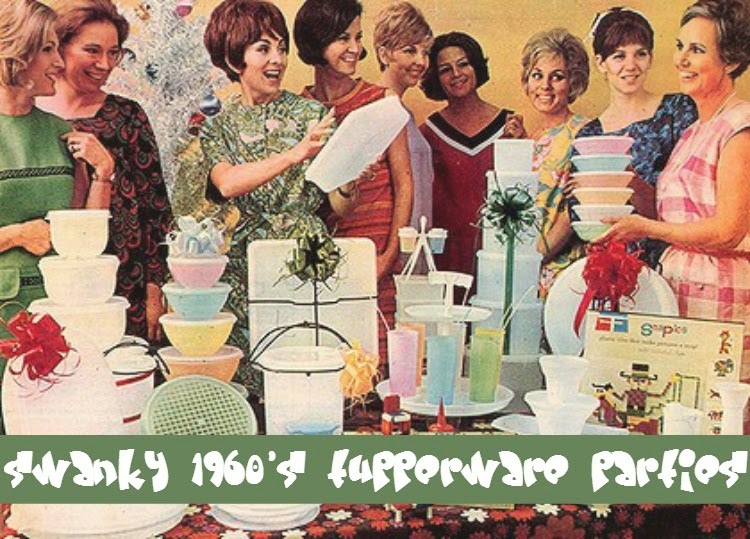 Tupperware parties were an absolute fantastic way for women to socialize and have a break from the daily grind of family life. It also gave some women who were known as the hostess, the opportunity to make a great deal of money. The 1960's was still struggling with women in the workplace and women were struggling with the idea of housewifery vs. being a career woman. I believe that struggle is still going on and that subject is just as delicate as it was 40-50 years ago. I love the idea of getting together with other women and swapping recipes, learning how to use a product in a hands on way, and having fun. Have you ever attended a Tupperware Party? Do you use Tupperware products? 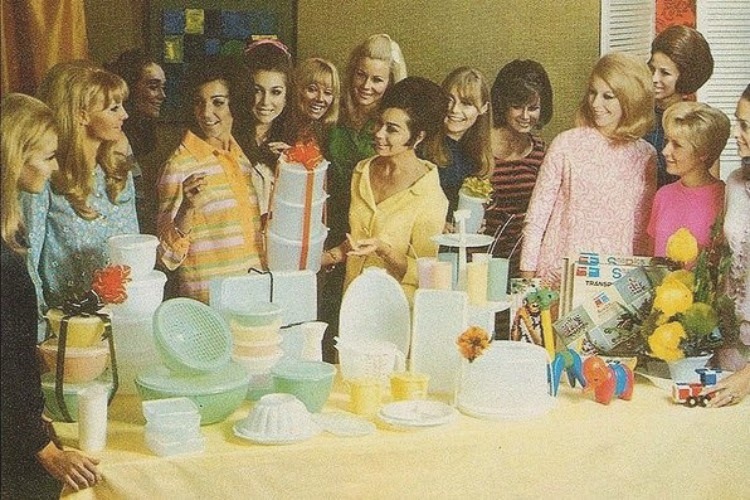 Do you also like the idea of having a swanky 60's Tupperware Party? 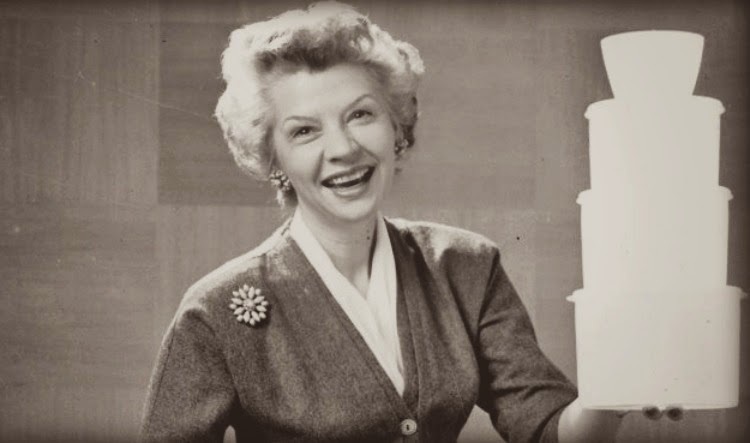 Tupperware parties and cocktails parties - no one really does either of those anymore, and they should! I guess you don't really have to have a party for the tupperware specifically anymore, but getting together for a few drinks and cooking or sharing recipes and stuff like that would be a lot of fun. How fun! I've never been to a tupperware party but I have been to Mary Kay type makeup parties and jewelry parties before and they are usually loads of fun. I watched the PBS American Experience episode when it first came on (and then again later-yes, I liked it that much) and really loved learning about the whole history behind it. It was so sad how Brownie Wise was treated after all she had done.